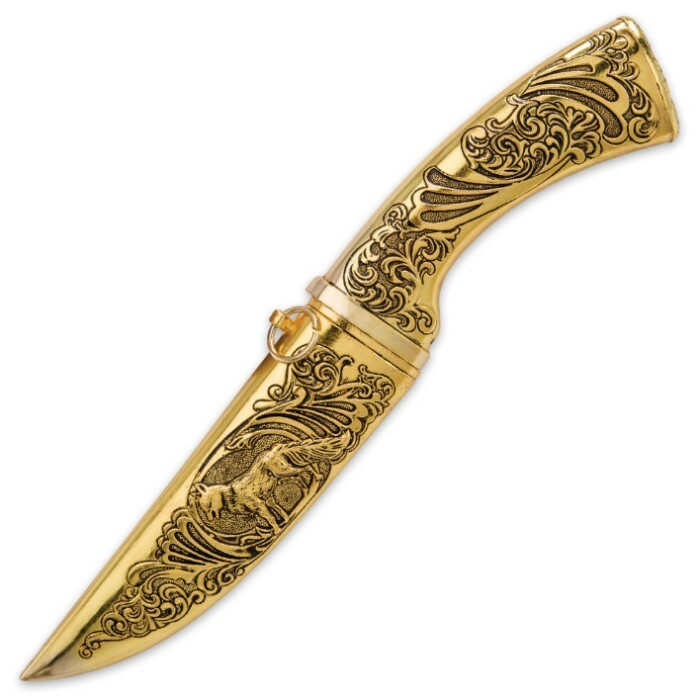 Golden Wolf Hunting Lodge Knife | BUDK.com - Knives & Swords At The Lowest Prices! “The Hunt” is a time-honored tradition dating back thousands of years, evolving over the years from survival to sport. 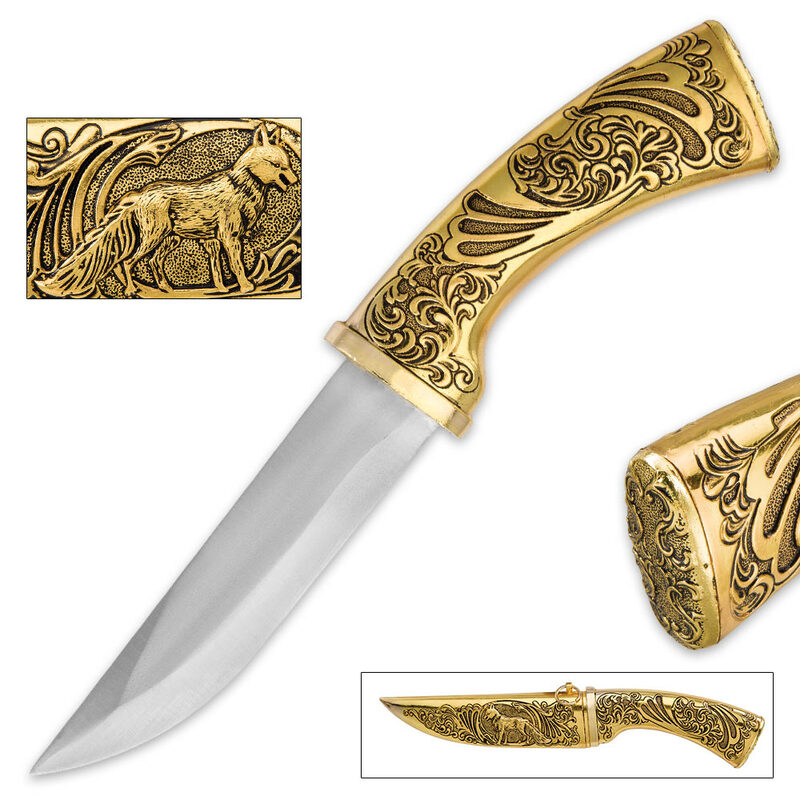 Centuries and centuries of hunting parties have gone out on the hunt to stalk and kill their prey and the Golden Wolf Hunting Lodge Knife is a handsome display knife with sheath, which pays homage to the grand tradition. 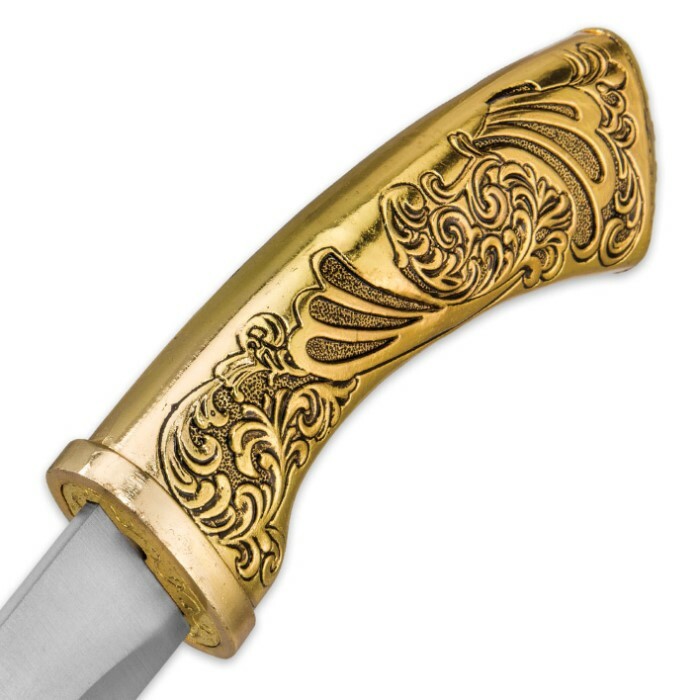 Starting from the top of the fixed blade, a distinctive gold-toned metal alloy wolf head pommel tops the intricately carved metal alloy handle and the 5 3/4” stainless steel blade has a satin finish. The blade slides into a gold-toned metal sheath with a very intricate woodland scene, featuring a majestic lone wolf, expertly crafted into the metal. You won’t find a more striking display knife for your lodge or cabin anywhere else!